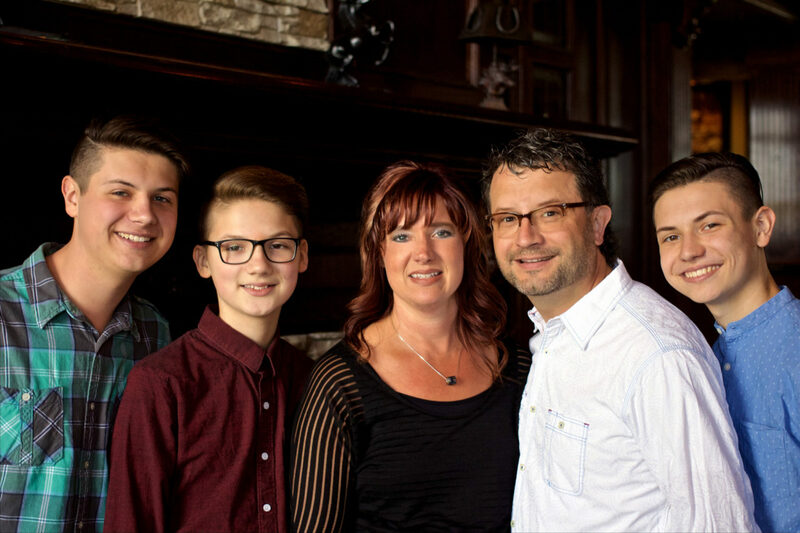 Since 1993, Tim and Rochelle Enloe have traveled in full-time teaching ministry–with a special emphasis on the Holy Spirit. God has gifted them to present the ministry of the Holy Spirit in a simple, accessible manner. They are communicators, authors, vocalists and song writers–but enjoy their role as parents most of all. The Enloe’s have three sons: Braedon, Dolan and Barret. Rochelle was raised in an Assemblies of God pastor’s home. Her parents, Jonathan and Arlene Hollis, are long-term pastors in Wichita, KS. Having been called into and involved in ministry since she was a child, Rochelle possesses a pastor’s heart perspective and a love for the local church as well as a unique gifting to communicate, sing and write songs. She is a graduate of Central Bible College in Springfield, MO. Tim was also raised in a ministry home; his parents, Neil and Ruth Enloe, have been involved with the singing group The Couriers since 1957. Tim was called to teach about the Holy Spirit when he was fourteen years old. He is a graduate of Central Bible College and is ordained with the Assemblies of God. Tim has written several books, is a frequent contributor to magazines, written many songs and loves hanging out with his three sons! Since family is such a high priority to the Enloe’s, they always strive to travel together as a team. Wow, you guys did an AWESOME job at the First Assembly of God in Phillipsburg, Kansas!!!!!! Have a great trip to Topeka!! God Bless your ministry. You have wonderful message about supernatural ministry! It helped realized to get out my confort zone, by having Holy Spirit work through me. Hello Enloe family u had visited our church this part weekend at Morningside assembly of God for your Holy Spirit Conference and I was touched by the Lord and healed on Sunday Morning. thank you and The Lord Bless you all in Jesus Name. Heard you for the first time last night at LGCC Family Camp. The clearest message I have EVER heard on the Holy Spirit. Thanks for your ministry. Loved having you At First Assembly. Hoping to see Spirit led things happen. We will see you again there or in the air. While traveling in our motor home this summer, we re-listened to your Holy Spirit CDs that we purchased from you when you were in Fairbanks, Alaska, a few years ago. We were so blessed again, it was as if we were hearing them for the first time. Just felt led to send you a donation to help you in your ministry. Much love and prayers to you and your family. We loved the singing and loved the teaching !!! We went to visit river of life church in Doylestown and we were so blessed with your teaching on the Holy Spirit ! I was praying for answers, and I got them through your teaching! Thank you for being a blessing to me my husband and my son! Enjoy your circle Love and blessing !! As you have given abundantly you shall receive !!! God sure loves you guys !!! Praying for you often !!! Thank you so much for the great weekend. The Holy Spirit was so present the entire time. Thank you also for the time you guys spent with us discussing our mission as well. Blessing to you and we will pray for safe travels for going overseas. So enjoyed your time with us at Lawton First Assembly! Your teaching so touched our hearts and minds! God bless your ministry and thank you for attending to our need! Our prayers will follow you where ever you go!! When You came to Whitehouse First Assembly Of God, in East Texas, for the Holy Spirit Conference, I gave my life to Jesus Christ! And I wanted to thank Tim Enloe For coming because he made a difference in my walk with Christ. Say hi to your kids for me! We are rejoicing with you and are so excited about what Jesus is doing in your life!